Can B2B Companies Evolve into B2C Companies? The Financial Times recently featured the Chinese giant Huawei and its success in becoming the world’s third largest smartphone company. This is truly a remarkable achievement for Huawei. As articulated in the Brand Breakout book (co-authored with J-B Steenkamp), evolving from a B2B company into a consumer company is not easy, especially for a company born in emerging markets. The rest of this blog draws from the book to explain why one should be impressed with Huawei. 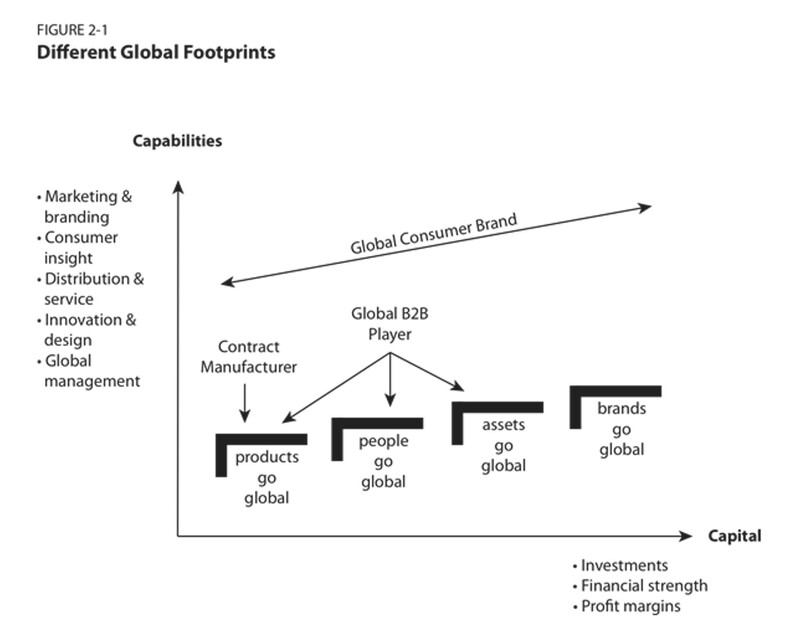 Global firms from emerging markets tend to compete in business markets, that is, they sell their output to overseas companies (B2B) rather than to households (B2C) in foreign countries. In business markets, a firm typically targets a limited set of organizational customers, who buy in bulk based on rational price and quality, not on brand. Branding activities are often unnecessary, and distribution is less important since large global customers have their own distribution capabilities. Even if a firm must set up a distribution network, it need reach only the relatively fewer business customers. In contrast, global consumer products require strong brand names that mean something to foreign consumers as well as supporting distribution and service networks that can effectively serve individual households in distant lands. Starting from scratch to launch a consumer brand in developed markets using traditional marketing strategies is often prohibitively expensive for entrepreneurs and small businesses in those markets; imagine how expensive the exercise would be for many emerging market firms. Furthermore, convincing dealers and retailers in the developed world to stock an unknown brand from an unfamiliar or ill-famed country is too big a hurdle. Without brand image, a firm cannot form a distribution network or generate sales to fund advertising and branding initiatives. It is the classic “chicken and egg” problem for emerging market firms. One must distinguish between two types of business marketing firms from emerging markets, namely the contract manufacturers and the global B2B players. Contract manufacturers are the millions of small and medium exporters that exploit the natural or the demographic advantages of a country such as its agricultural conditions, its energy resources, or the low labor costs of mining or manufacturing. They compete for large contracts with global retailers such as H&M and Wal-Mart or global consumer brands such as Apple and Nike that want to outsource functions not critical to their brand value. These exporting firms largely toil in the shadows, unknown to the press or the consuming public. If they do receive publicity, it is generally unflattering. Consider the Western press coverage of the labor practices of Asian suppliers to Apple, Nike, and Wal-Mart. Such contract manufacturers export their output, not their brands, or as the Figure illustrates, only their products go global. Global B2B enterprises from emerging markets are among the largest companies in the world, such as Gazprom, Reliance Industries, Petrobras, Sinopec Group, and Vale. Beyond selling their products globally, these firms have global capabilities as their people (e.g., subsidiaries and salespeople) and assets (plants and warehouses) exist across the world. They know how to manage in global markets. However, because of their focus on the business customers, they usually lack the consumer insights, branding expertise, and marketing capabilities that are necessary to build a global brand name with end users. Unlike a contract manufacturer who concentrates on a single task in the value network – manufacturing – a global B2B company has global scale, experience operating in foreign markets, a well-developed value network, and assets deployed across the world. It has everything except a brand familiar to consumers. Furthermore, global B2B firms do invest substantially in R&D while having worldwide distribution and service networks in place. Yet few B2B companies evolve into B2C companies, unless the existing category expands into consumer markets, as computers did. That is how Microsoft and Dell became household names. Why do B2B companies rarely transform into B2C companies? The reason is that the business model is substantially different. A successful B2B company is built around technical excellence, rational product features, large customers, and a sales culture. The successful B2C firm is built around consumer segments, understanding emotional and rational needs, brand management, marketing, and the management of diverse distribution networks. The differences are systematic and deeply embedded in every activity of the value network. For example, despite the presence of substantial R&D capabilities, B2B firms usually lack the capacity to innovate for end users because they lack a process for gaining end-user insights. Similarly, they have a global distribution and service network, but that does not reach end users directly. The result is that successful B2B companies differ from successful B2C companies in how they think, how they organize, how they operate, and even whom they recruit. Not surprisingly, there are relatively few examples of firms that began as B2B firms in emerging markets and then became global consumer brands. Usually, B2B companies are seduced into thinking that B2C is a much easier business and the margins are abnormally high because one is selling to “unsophisticated” end consumers. But beware! B2B companies are usually surprised that their margins have come under severe pressure after entering the consumer space. This is what has happened at Huawei. The Financial Times article reported that overall profit margins for the company have shrunk. I doubt the B2C business of Huawei, despite its sales success, is making any money. But, it’s a bet to secure the future by Huawei. It is unfortunate that politicians are still stuck with the “made in” country labels when supply chains have gone global over past four decades. The example is only revealing the Tier 1 suppliers. If one goes deeper into Tier 2 and Tier 3, the net will be much wider and include many emerging markets. I am now not certain where you’re getting your info, however good topic. I needs to spend a while learning more or figuring out more. Thanks for magnificent information I used to be on the lookout for this information for my mission. Wonderful website. A lot of helpful information here. I’m sending it to some friends ans also sharing in delicious. And certainly, thank you in your effort!